Covered by Yahoo! 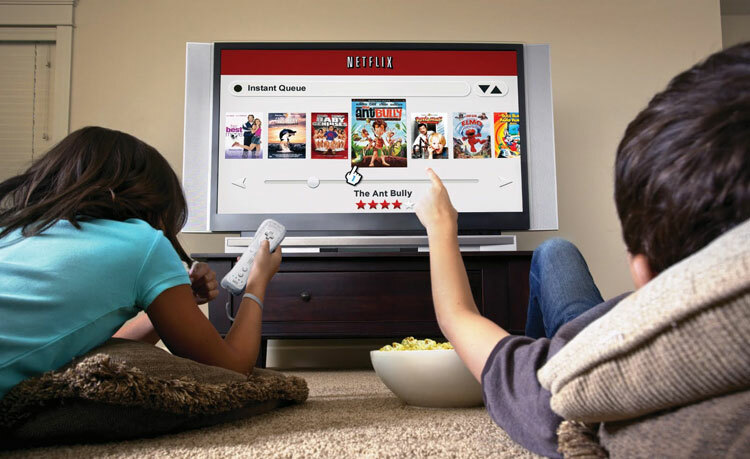 News recently, Netflix is currently showing off a demonstration of Netflix Instant user profiles on the show floor of the 2013 Electronic Entertainment Expo. 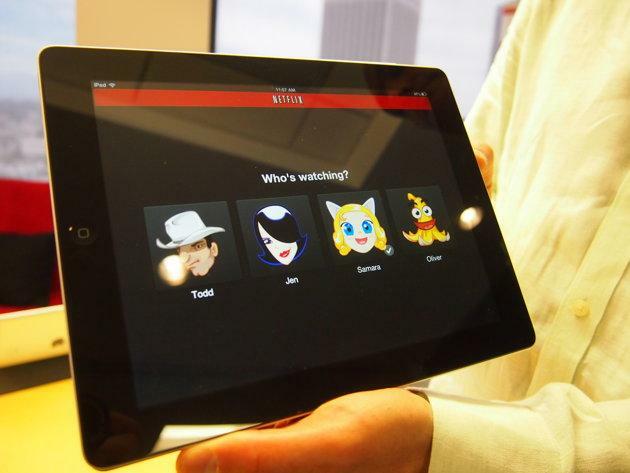 Targeting a summer 2013 launch window, everyone in a household will be able to log into a specific user profile prior to launching the Netflix interface. This will be particularly useful since viewing habits will be connected to user profiles. For instance, someone that likes to watch lots of action titles won’t have to see a variety of romance-related recommendations if someone used the family Netflix account to watch a marathon of The Vampire Diaries. When a user logs into the household Netflix account, the screen will show all the user profiles in avatar form along with a name attached to each profile. After the user clicks on their profile, the Netflix interface will load as usual with all the recommendations and star ratings tied to that specific profile. It will also load recently viewed titles making it simpler for a user to jump back in where they left off in a season of their favorite television show. In addition, television episodes that have already been viewed by other users will show up as new to the current user. Basically, family members can binge watch seasons all day without altering the interface for other users. While the interface is still being designed and tested, the current version uses cartoon avatars; definitely appealing to a younger audience. 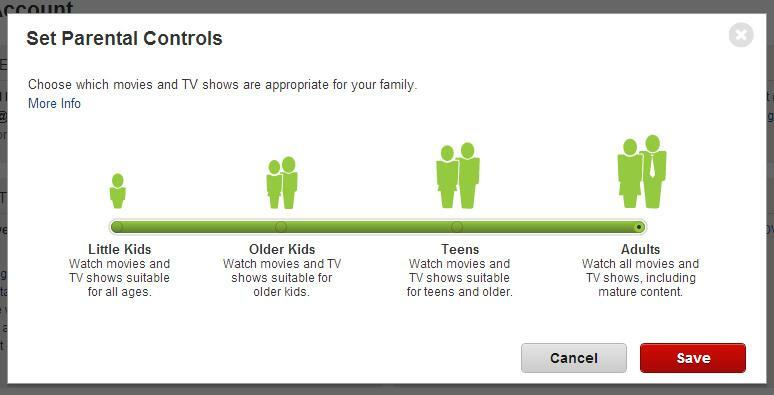 It’s possible that Netflix will also include a selection of parental control settings that are tied into user profiles. For instance, parents could limit a child’s profile to content rated TV-Y that’s suited for little children. Netflix does have a parental control setting in the current Netflix Instant interface, but it limits the entire account rather than for a specific person in the household. It’s possible that Netflix could include password protection on user profiles as well, but that would likely be time consuming on any platform that doesn’t have a physical keyboard. While Netflix did show off a similar user profile interface to Gigaom at CES earlier this year, this is the first mention of a launch window for the new feature. At the moment, Netflix allows two users to stream video on the same account, but it’s possible that number could change with the launch of user profiles. Perhaps tied in with a new, higher-priced family plan, Netflix could increase the number of streams per account assuming the home’s network could handle that level of streaming video to multiple screens around the home. Also mentioned by Yahoo! News, Netflix is working on a new remote control function for your smartphone or tablet that will allow you to power up the television and launch the Netflix application. The remote control application for iOS and Android platforms would also let you select and launch content within the Netflix application. Google and Netflix are both working to have this technology standardized among the consumer electronics industry, specifically for television sets.